Landscaping your home with well-tended lawns is a great choice which you can use to beautify your home. A beautiful lawn takes a considerable amount of time and effort to pull off effectively. It involves countless hours of cutting, watering, fertilizing and removing stubborn weed from the grass, which may not necessarily result in a perfect looking lawn. But what if you don’t want a lawn? Maybe you want something simpler, that takes less time and expense to maintain. Why not try landscaping without grass? To save you from the time and labor involved in tending to grass, you can ditch the lawn and make use of other equally eye-catchy landscaping options. Ditching your beloved grass does not mean giving up on the space left in its wake. In fact, there are some well-designed and spectacular yards which do not have a single blade of grass in them. Some of these grass-free landscaping ideas are outlined below. 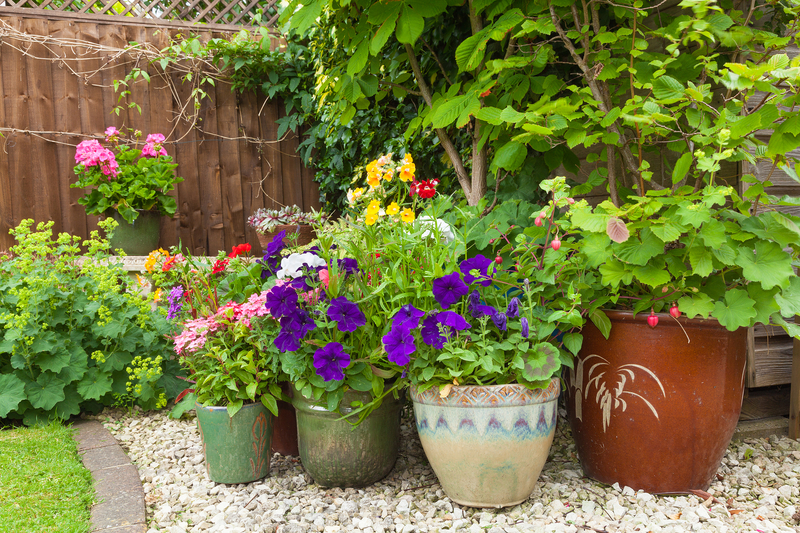 Trade in your lawn for a cute little garden with potted plants. This is a great way to do away with grasses while still retaining some form of foliage. Potted plants are much easier to care for than grasses, and you also have an array of planting options. You can decide to arrange the planters in clusters, rows or columns, or even have some suspended throughout your patio. Another landscaping idea which does not involve grass is planting a tropical canopy. Transform your flat landscape into a vertical oasis using trees which can beautify your home as well as provide shade and privacy. Consider using fully grown dwarf varieties of evergreens or palms, as many trees take several years to mature to their full height. Organic mulches such as pine bark or cedar is another landscaping option you can try out if you don’t want the stress involved with grass. Mulches are a stress-free but beautiful alternative to grass, which can give your home a rustic ground cover. It is important to first lay landscaping cloth on the bare soil before laying the mulch down, to prevent weeds from growing to the surface. Your lawn can be transformed into an elegant hardscape when you add a lovely patio to it. Natural stones, stamped concrete or patio pavers can be used to create a functional and stunning space which can be used to entertain visitors. You can even decide to brighten up the patio space by furnishing it with strategically placed containers brimming with welcoming greenery like colorful flowers and ornamental plants. You will hardly even notice that your lawn is no longer there. To achieve a spectacular display of textures and color, create a rock garden using stones and rocks. The rugged simplicity of stones and rocks contrasts nicely with certain vibrant blooms around your home which help to create a one-of-a-kind landscape design. Also, during winter when flowers die and fade off, you still get to enjoy the scattered boulders throughout your yard. There you have it! If you can’t find the time or it’s difficult to mow your lawn because of the landscape, you can get rid of the grass totally and still have a beautiful yard with these landscape ideas. For professional help with any of these ideas, Contact Levys Lawn & Landscape Today!